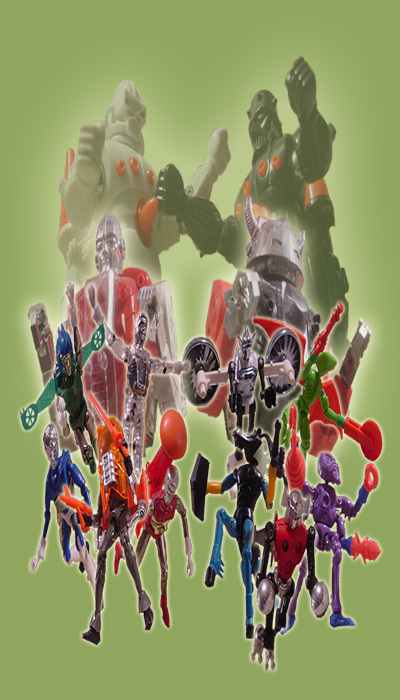 Below you can check out the many different versions that made up "The Interchangeable World of the Micronauts". They began in 1976 as a Japanese import from Mego, and continued on through 2003 with the Palisades Toys Retro Series . Yes, it's been quite a while since the last update here at ISO, but sometimes certain things are worth waiting for. If you're a fan of the Micronauts comic series then you'll love what we have in store for you. Check out ISO's new Commissions page and prepare yourself for a visual feast! For starters...there's a nifty new Michael Golden Micronauts illustration that could pass for a long lost vintage cover at the least...! Yet another long awaited interview is finally up on ISO...the exclusive un-told story of the "lost Micronauts" comic series from 1997, as told straight from the writer and creator Shon C. Bury! 10 years ago he proposed a new series at Marvel and got the green light to go ahead with it...then 3 issues in, it was canceled. Find out why...and see some never before shown images by artist Cary Nord! Tattoo artist Dave Waugh has some swanky Micronauts giclee prints now available for purchase, and all proceeds go to help defer the rising costs incurred in keeping ISO online! Check 'em out and buy some today! Any comments, corrections and suggestions are greatly appreciated. See what real people have to say about how they've changed their lives with Innerspace Online! All testimonials are 100% true, these are not paid actors! "I would just like to thank you for the work you put into this site. Long before Star Wars (Which I'm a Geek for) there were Fisher Price Adventure People and Micronauts. All of which played a huge part in my childhood, which I relive by collecting these toys. Micronauts will always have a place in my heart. Your site has helped me find things out and Identify things I never would have known. Its not just that though, this is the best Toy site I have ever been to. I can tell just by the massive work you put into it, fantastic site, you have done an excellent job. Once again, thanks for helping me recapture a part of my childhood I will never forget." -Joe Doc Talipan, Avoca PA. Inner Space Online. Spreading the word at 3 3/4" increments. Want to join the MicroVerse?